In 2018, U.S. dividend growth remained solid, although some dividend exchange traded funds (ETFs) were challenged by the Federal Reserve’s four interest rate hikes. The “average Q4 2018 dividend increase in the S&P 500 was 10.24 percent, down from 10.41 percent during Q4 2017; 2018 average is 13.48 percent, up from 2017’s 11.36 percent,” according to S&P Dow Jones Indices. Expectations are in place that the Fed will slow its pace of rate hikes this year or possibly not raise rates at all. Even with that more sanguine interest rate outlook, how investors approach dividend ETFs this year matters. Joe Smith, deputy chief investment officer (CIO), at CLS Investments ($9.2 billion AUM), recently discussed his firm’s approach to dividend strategies with ETF Trends. When the Fed tightened rates last year, some high dividend strategies languished while dividend growth ETFs performed less poorly. With the Fed poised to potentially not boost borrowing costs at all this year, Smith sees opportunities for dividend investors with both dividend growth and high-yield ETFs. Among the dividend ETFs that CLS uses are the iShares Core High Dividend ETF (NYSEArca: HDV), which tracks the Morningstar Dividend Yield Focus Index, and the First Trust NASDAQ Technology Dividend Index Fund (NasdaqGS: TDIV). TDIV tracks an index of technology dividend-paying stocks. Underlying components have paid a regular or common dividend within the past 12 months, with a yield of at least 0.5%, and have not had a decrease in dividends per share within the past 12 months. “We believe that in the current environment, it is important for investors to not just focus on the highest dividend yielders, but invest in ETFs that also account for the safety and likelihood of the companies it owns to continue to pay and increase their dividends,” said Smith. Still, a defensive strategy such as HDV could be beneficial to investors this year. Assuming we continue to see a bit of a pause in earnings growth in 2019, we expect more defensive oriented sectors such as consumer staples and health care to drive dividend growth in the near-term,” notes Smith. HDV allocates over 37% of its weight to consumer staples and healthcare stocks. Those are the second- and third-largest sector weights in the fund. In recent years, the small-cap arena has become increasingly fertile ground for dividend investors, but yields remain low on traditional small-cap benchmarks. Analysts expect firms in the benchmark Russell 2000 index to generate double-digit profit gains throughout 2019. Profits across the Russell 2000 is expected to grow by almost 16% over the first quarter year-over-year after the 12.6% earnings growth rate expected in the final three months of 2018. 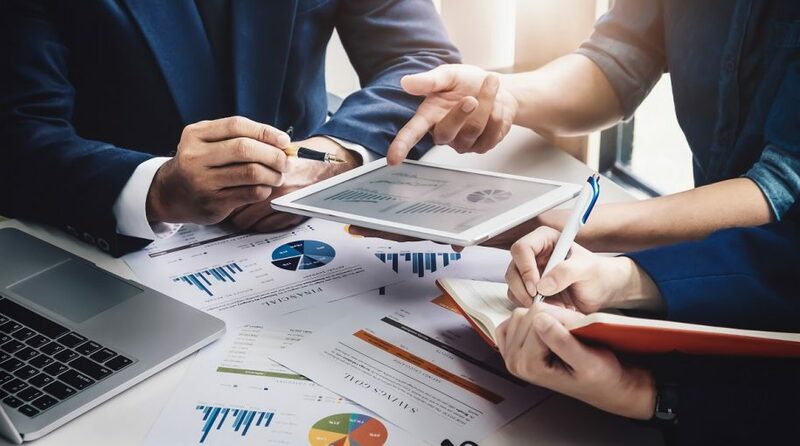 Some even project the the small-cap benchmark to see profits surge to over 30% year-over-year in the fourth quarter of 2019. The WisdomTree SmallCap Dividend Fund (NYSEArca: DES) is one of the ETFs CLS uses to gain exposure to small-cap dividend payers. DES, one of the foremost names among small-cap dividend ETFs, follows the dividend-weighted WisdomTree U.S. SmallCap Dividend Index.